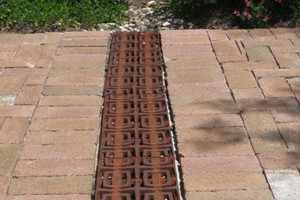 Iron Age Designs provides decorative drain grates, tree grates, and other architectural castings, both standard and custom, for public and residential use. Iron age trench grates can be retro fitted into existing installations or be purchased at the time of the original installation. They offer custom architectural castings in cast iron, aluminum, ductile iron and silicone bronze. All castings are made from recycled product and are ADA compliant. 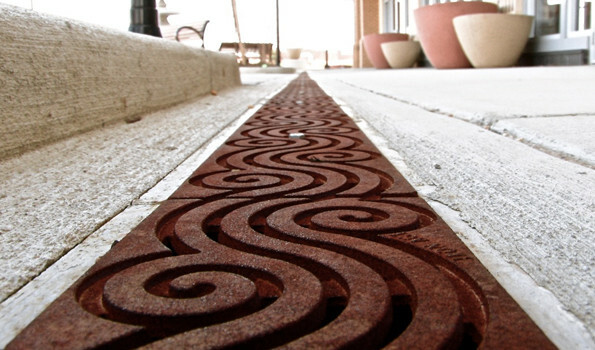 Iron Age Designs was originally formed to address a need in the marketplace: to create decorative, yet affordable standard drain grates, engineered to fit the most widely-used catch basins and trench drain bodies on the market today. Their grates provide the finishing touch to a garden, pavilion or driveway-adding interest, and ultimately value to your home or project, just as does any other well-chosen refinement. They are constantly working out new designs for other artful surface applications and welcome your ideas, and hearing about your special needs. We want it to become ordinary for you to expect extraordinary, affordable artistic design-in grates and other kinds of cast-metal architectural pieces-both in public spaces as well as at home. Our castings are made from recycled product and are ADA compliant. 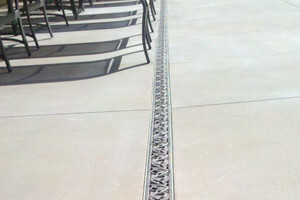 We invite you to share our passion for aesthetically pleasing cast metal surface applications.